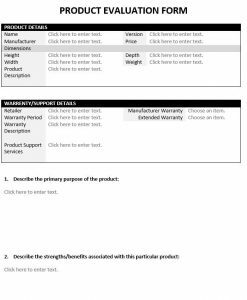 Driver Performance Evaluation Form provides a thorough assessment of all aspects of driving ability. Summary of the evaluation results should be provided to the driver immediately following the evaluation. 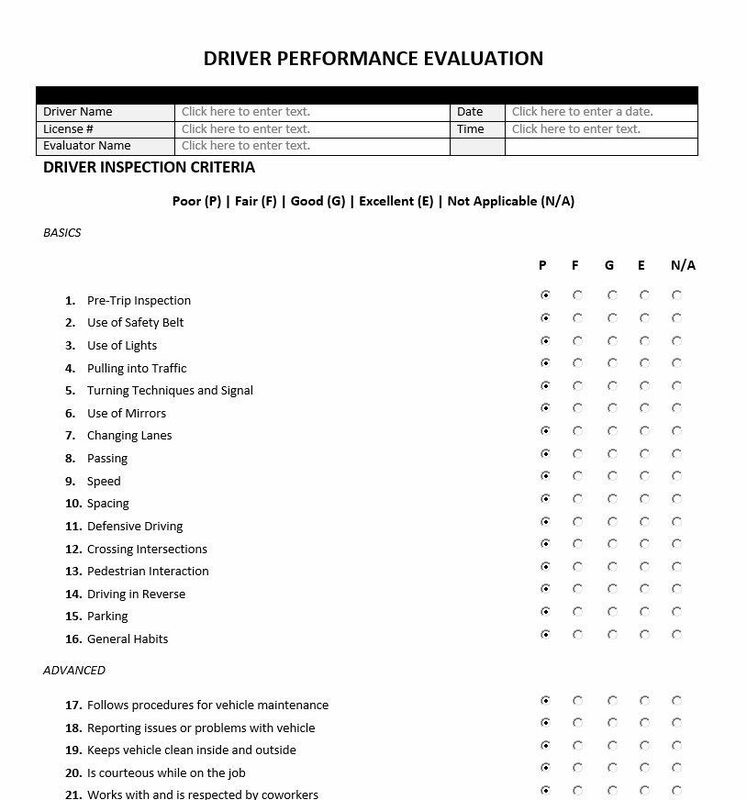 Driver Performance Evaluation form is used as part of an overall driver assessment. The full evaluation should include testing of visual acuity, reaction time, decision making and overall physical health. 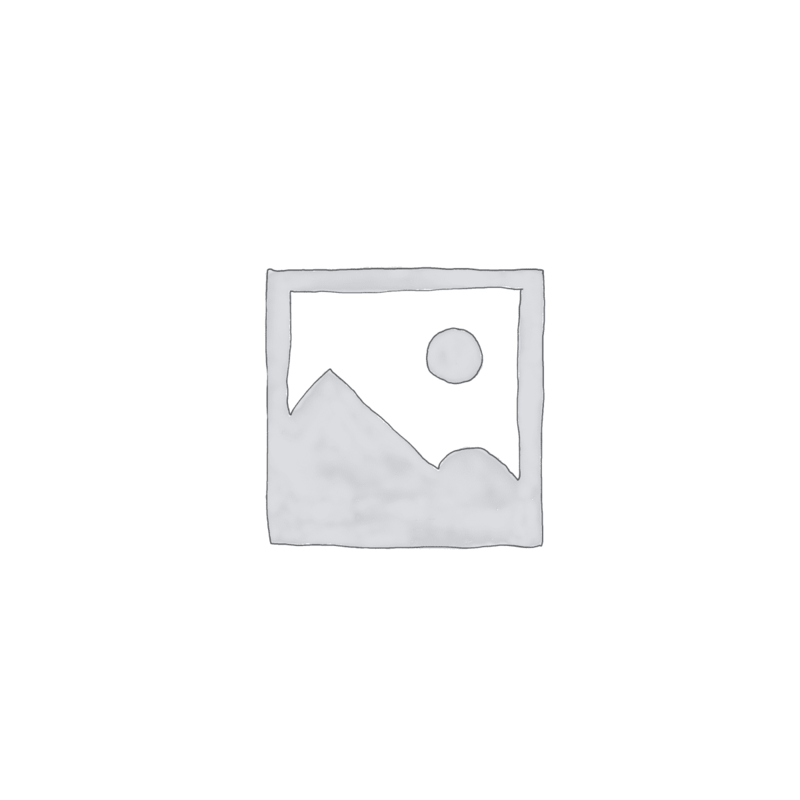 The form is used to promote and ensure safety prior to and while using a motor vehicle. Recommendations for additional driver training can be based on performance during the testing process. 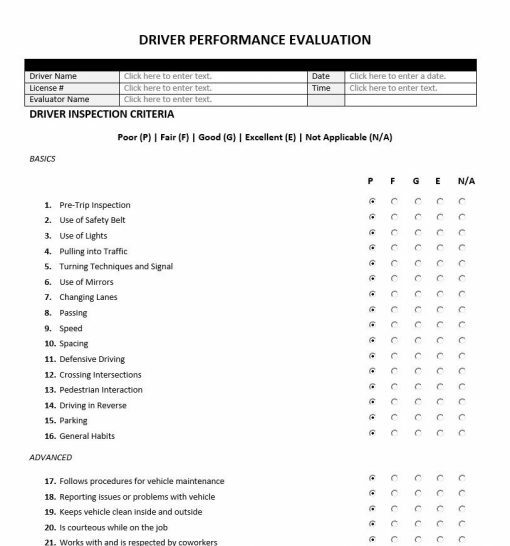 This driver performance evaluation is one tool used as part of a thorough assessment of all aspects of driving ability. A driver should have a good sense of responsibility and adhere to safety requirements when driving, be courteous, and treat goods with care. They must be alert at all times and able to be responsive to the road and driving conditions. They must ensure they are well-rested and able to handle the task at hand. A driver should have basic knowledge of how a vehicles operates and be able to perform minor repairs as necessary, such as changing a tire. The drivers should also be familiar with maintenance tasks that ensure the vehicle meets compliance and other safety standards. The information provided on this form will help assess the driver’s qualifications. The assessment should be conducted in a variety of traffic settings. 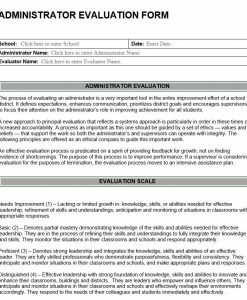 A summary of the driver performance evaluation form should be given immediately following the evaluation. Safety recommendations should be provided as well as assistance with carrying out those recommendations. If you believe that the individual has a medical condition/impairment which impacts safe driving, please provide information about the condition/impairment and its impact on the individual’s ability to safely operate a motor vehicle. Include information such as events, dates and places if that called the safety into question. The individual may be required to obtain a medical clearance before completion of a successful evaluation. Driving ability can be compromised after injury, severe illness, or decline in skills from aging. A comprehensive Driving Assessment and On Road Evaluation can be very valuable in making decisions regarding driving safety. The on-road evaluation identifies a driver’s strengths and weaknesses and ways to keep driving safely. If necessary, the evaluation may use adaptive equipment. Based on the evaluation, recommendations can be made about strategies, equipment, and training to improve driver skill and safety.